England, a few months before the Great War turns Europe into a bloody terrain of madness. Clara, a wealthy young woman, is invited to a mansion, undertaking the task of creating a unique glass house. However, the house and the community Clara finds herself in are anything but ordinary or peaceful. Clara herself isn’t ordinary. Inflicted by a rare syndrome that can leave her bones fractured in the blink of an eyes, graced with strangely beautiful hair and eyes, with a personality that is the definition of an atomic bomb (which is always a good thing for us women), Clara begins to witness events and behaviours that make her doubt her own firmly grounded, ardently supported convictions. Coming into a place haunted by secrets and death, wounded by the loss of her mother, Clara has to face a task that is much heavier and perilous than her own afflictions. We’ve read many books using the trope of the young woman arriving in a strange mansion, toying with spectres and suspicions and secrets but Fletcher’s novel has a great asset. An extraordinary heroine and a wonderfully balanced told through exciting, confident writing. Atmospheric and complex, making use of the characteristics of the Haunted House in all its good, old British glory, the plot is so much more than that. Born through an utterly successful combination of Gothic and Historical Fiction, Fletcher provides food for thought on issues that have excited our imagination and divided us for centuries. Through the footsteps, the falling paintings, the scratches and the shadows, the withering flowers, the mysterious owner and the village life during a rather hot English summer, we’ll find the chance to ponder on Faith and Proof, on Belief and Certainty. On a journey where Faith can be seen as a refuge and Proof can be supported as a form of security in a changing world. Make of this debate what you will, draw your own conclusions. Fletcher manages to present everything in a balanced, respectful manner, resulting in a novel that will make us feel uncomfortable for things that lurk in the shadows and for the conviction adopted by many of us that everything can be explained, that science has an answer to every question. I am sorry but this is not accurate…. A fine novel is a result of a well-told story and a successful cast of characters. House of Glass contains both. Set in an era when women finally decided to claim rights that should have been provided to them all along, when most men viewed the rising cried for equality and justice, dismissing them as temporary clutter (the way a certain contemporary ‘’leader’’ does…), Clara speaks with a voice that demand of everyone to listen. Now. To look beyond her syndrome and answer her questions clearly. She reminded me of Lib from Emma Donoghue’s masterpiece The Wonder. She gets into so much trouble to prove that there is nothing supernatural in those weird incidents and she rejects religion and the idea of the afterlife. And then, she learns to doubt. I loved her. The way she wasn’t afraid to speak her mind, ignoring etiquette and political correctness. The way she refused to let anyone take her for a fool or make use of what others viewed as ‘’deficiencies’’. She is surrounded by characters that will accompany you on an exciting, thoughtful journey. Mr. Fox, Mrs. Bale, George, and Kit. 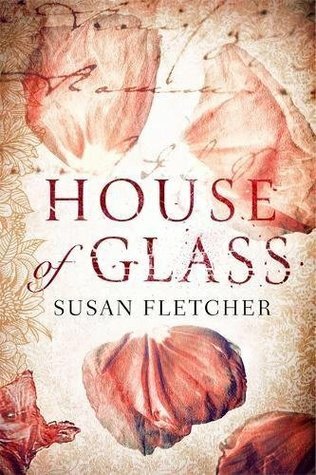 After a streak of horrible reads, House of Glass was a breath of fresh air, a beautiful reminder of why Historical and Gothic Fiction (when done right) create a unique reading experience. Many thanks to Virago Books and NetGalley for the ARC in exchange for an honest review. Definitely adding this one. I adore well done Gothic fiction stories. Your review is just fabulous. Thank you for alerting me to this book. This sounds great! It’s now added to my TBR!